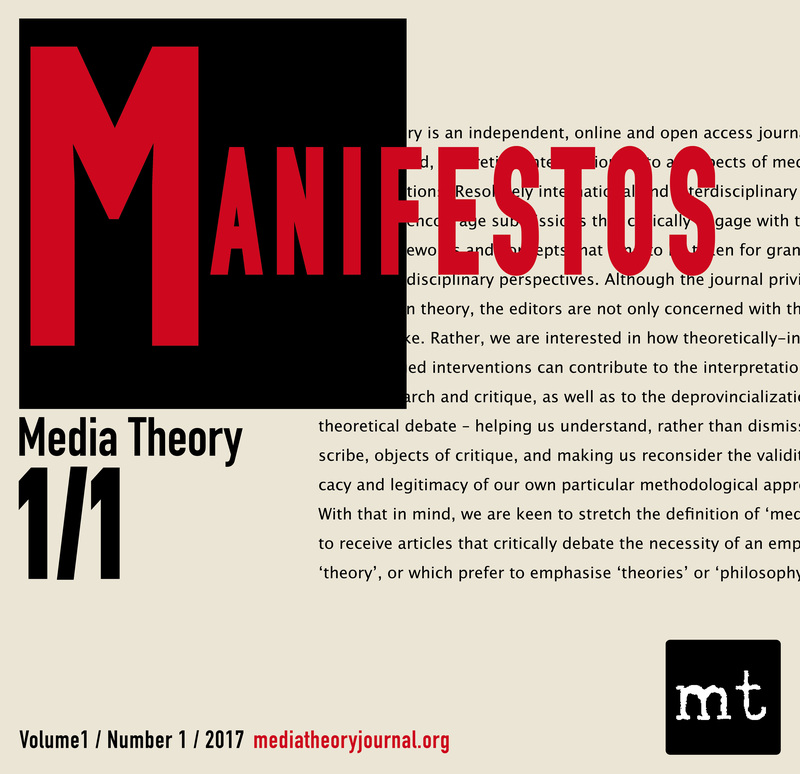 For this launch issue of the journal, editorial and advisory board members were invited to set out their own views on the importance of (a new journal of) media theory. With contributions by W.J.T. Mitchell , Liam Cole Young, Scott McQuire, Terry Flew, Marc Steinberg, Raka Shome, David M. Berry, Ned Rossiter, Johan Soderberg, M. Beatrice Fazi, John W.P. Phillips, Mickey Vallee, Rob Shields, Jane Birkin, Sunil Manghani, Gary Hall, Christoph Raetzsch, and Sean Cubitt.